Picc, Fl, Ob, Bsn, P.Cl, 3 Cls, B.Cl, A.Sx, T.Sx, B.Sx, 4 Hns, 2 Cnts, 3 Tpts, 3 Tbns, Bar, 2 Tbas, Str. Bass, Timp, Perc (4). In 1996 I met Michael Delman, the conductor of the Wind Orchestra of the Petah-Tikva Conservatoire (Israel). Before meeting him for the first time, I had never written anything for wind orchestra, and I have viewed wind orchestration as limited to bands performing marches or any entertainment music, like songs, waltzes, polka, fantasy, and potpourri. Mr. Delman opened a new world to me: the wind orchestra, with abilities and repertoire similar to the symphony orchestra. This type of orchestra is called a symphonic wind band or a wind symphony orchestra. For more than 20 years, Michael Delman and I have collaborated. He and his orchestra premiered most of my compositions written for symphonic wind band. Mr. Delman himself conceived the theme of some of my wind band compositions, including Massada, Wind Of Yemen, Exile, and The Heroic Song. Massada was the first piece that I composed for symphonic wind band. It was composed, and also performed for the first time, in 1997. Massada (or Masada) is a fortress near the Dead Sea, whose defenders resisted the Romans for seven years and then committed suicide rather than being captured and enslaved by the Romans. 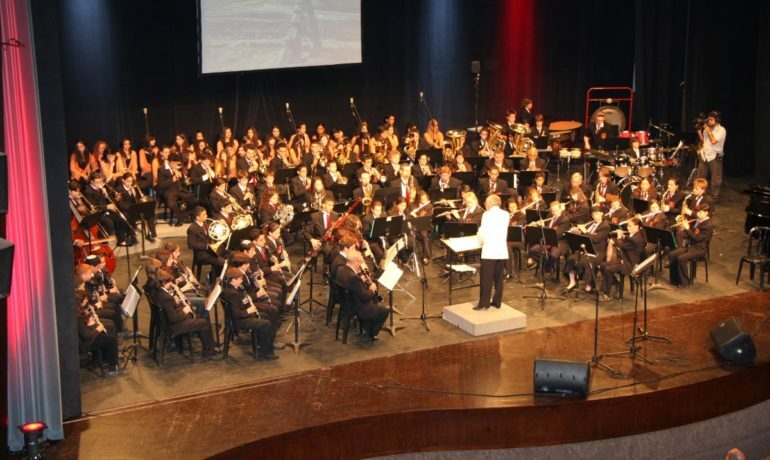 In 1999, Michael Delman and the Petah-Tikva Conservatoire Wind Orchestra performed the European premiere of Massada in the wind-orchestra competition in Zurich, Switzerland, where they won first prize in their category. They also performed Massada in Festival Mid-Europe ’99 in Schladming, Austria. Since then, Massada has been performed by various orchestras in Europe, the United States, and in South America, and several orchestras have recorded it. Feel free to contact me for any additional information you are interested in, I’ll be glad to be in touch with you!! !